Our 5/8in x 18 x 1in Squib bolt. 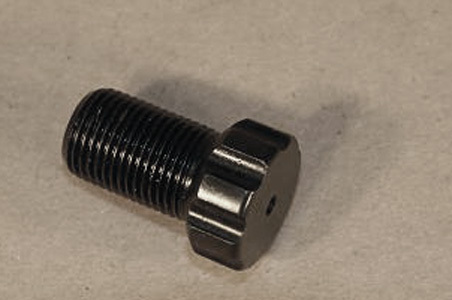 Grade 5 bolt steel, machined to hold a De La Mare Engineering D-60-6 or a MP Associates T12-6 squib. We use these squibs to operate our Trunnion Launchers and XL Quick Releases. 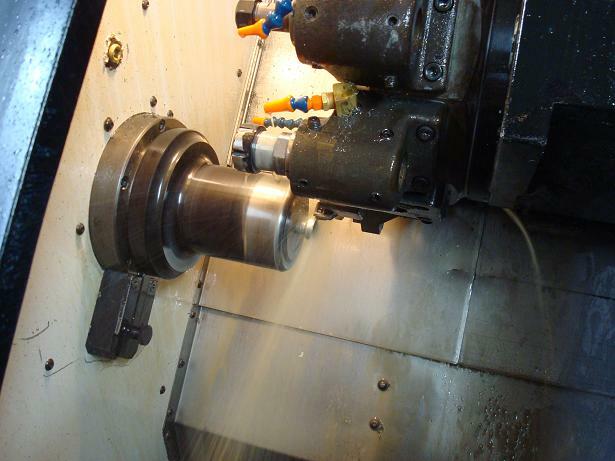 Profiling the head of a 5/8" squib bolt in our Warner-Swasey CNC lathe. A lot of steps to make these: starting out with a grade 5 bolt, 2 operations in the lathe, a milling operation, deburring, inspection, and finally black oxide finish.